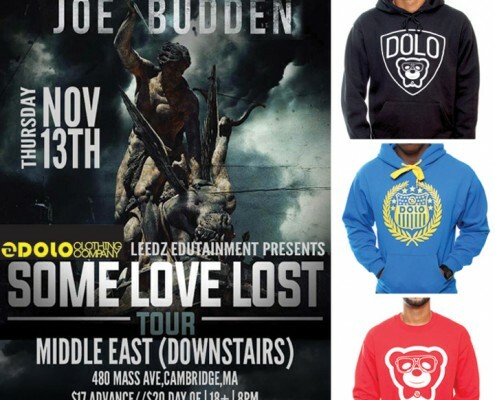 Dolo Clothing Co. showcases "a pop up shop" at Joe Budden's hip hop event in Boston! 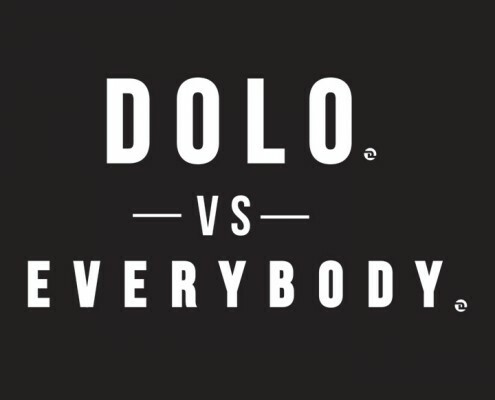 http://www.doloclothing.com/wp-content/uploads/2014/11/jbudden.jpg 720 720 admin http://www.doloclothing.com/wp-content/uploads/2013/04/Dolo-Clothing-Logo.png admin2014-11-11 20:36:012017-09-15 17:03:09Dolo Clothing Co. showcases "a pop up shop" at Joe Budden's hip hop event in Boston! Dolo Clothing Co. POP UP SHOP at the Freddie Gibbs show in Boston! http://www.doloclothing.com/wp-content/uploads/2014/10/FGIBBS.jpg 720 720 admin http://www.doloclothing.com/wp-content/uploads/2013/04/Dolo-Clothing-Logo.png admin2014-10-28 17:10:082017-09-15 17:03:11Dolo Clothing Co. 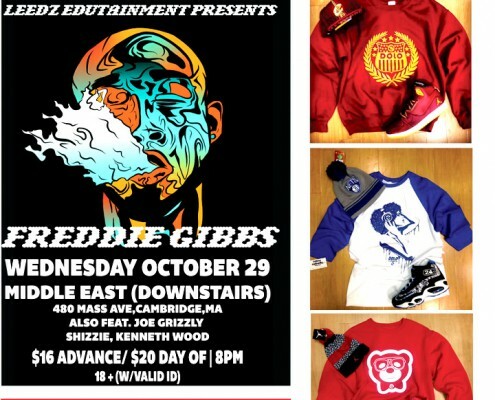 POP UP SHOP at the Freddie Gibbs show in Boston! 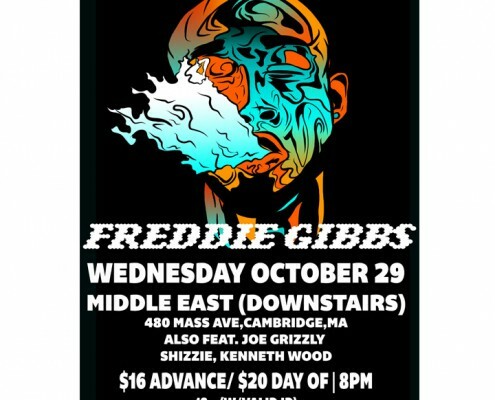 Dolo Clothing Co. sponsors Artist "Freddie Gibbs" performance at the Middle East in Boston! http://www.doloclothing.com/wp-content/uploads/2014/10/FREDDIE-GIBBS.jpg 720 720 admin http://www.doloclothing.com/wp-content/uploads/2013/04/Dolo-Clothing-Logo.png admin2014-10-22 13:15:342017-09-15 17:03:14Dolo Clothing Co. sponsors Artist "Freddie Gibbs" performance at the Middle East in Boston! 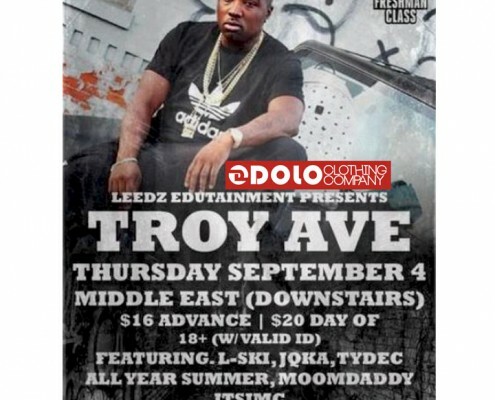 Dolo Clothing co. x Leedz Edutainment brings to you "Troy Ave" at the middle east!! http://www.doloclothing.com/wp-content/uploads/2014/09/Untitled-1-Recovered-Recovered.jpg 720 720 admin http://www.doloclothing.com/wp-content/uploads/2013/04/Dolo-Clothing-Logo.png admin2014-09-04 15:32:242017-09-15 17:03:16Dolo Clothing co. x Leedz Edutainment brings to you "Troy Ave" at the middle east! !